MYP Blog is a platform for the Business Community and the Public in general. We will update our blog section regularly on the subjects that is industry and trade related. They will include trends, opinions, surveys, facts and figures, third parties’ and partners’ articles where your business could gain by establishing privilege relationships. We will have a weekly article and graphs to show the trends in foreign currencies for the last 5 bank days. MYP seek to make its platform a point of meeting and ideas sharing. MYP Blog will aims to be a two way communication channel, we will welcome people, who want to participate and establish business connections with other businesses. 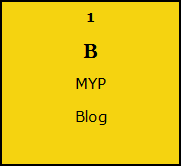 We therefore categories our blog into the same trade categories as yellow.mu and may well epxriment with the blog editiroal concept. So keep an eye on yellow-pages-mauritius.com.